Did you know? 10% of American children live with one or more grandparents. 1. Send them a letter. Even if they live nearby and even though it may cost merely cents, it’s still a grand gesture to send some snail mail. Toddlers can draw pictures (& moms can translate the picture if necessary.) Thanking them for their love and respecting their stories are always a beautiful thing to give elders. If distance is not too big an obstacle, how might you be able to help around the house? Pick up leaves? Mow the lawn? Dust off that one bookshelf? Paint a wall? Run some errands? 4. Make something with them. 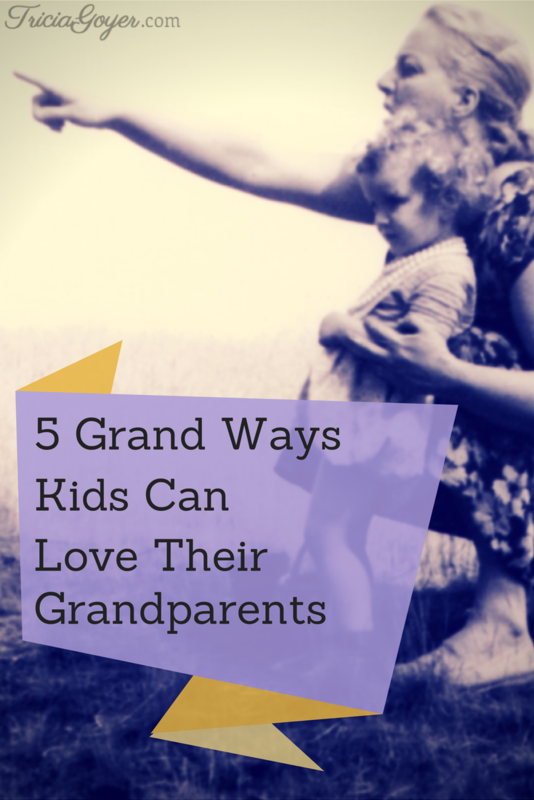 Baking, carpentry, fishing, even writing can be great ways to show respect and love for your grandparents. Who knows?! You might finally get your hands on that heirloom recipe you’ve had your eye on! 5. Walk them through your family’s photo album. What are some ways your children have shared love with their grandparents?